Chinese names are pretty hard and I had watch the first 10 episodes of the drama to get a feel for the characters. So, in order for my recapping to go as smoothly as a knife slicing through sashimi, I’ve decided to do a bit of a character introduction, I’ll add more side characters as I go along but it’ll be good to just do these first. 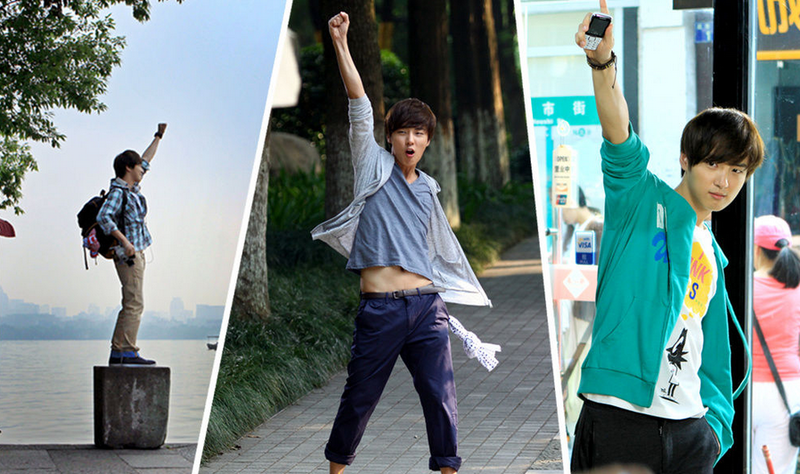 Jiang Xiu Can – Played by Yoon Shi Yoon (尹施允 0r 윤시윤). Originally from an orphanage in Korea but decided to travel to Hang Zhou so as to find his father, whom his dead mother had talked about a lot. He only has a fencing medal from his father as a clue. After impress Grandpa Zhang, who is a grandmaster at making noodles, he is hired to work in Hang Zhou Noodles at the lowest level. He’s got a genius level talent at making the perfect dough for noodles. Jiang Xiu Can is sweet and talkative, he’s seemingly easy go lucky and sarcasm sometimes flies over him. He also has a penchant for ceramic bunnies and does master level agyeo with those big mopey eyes. From the first day he saw Zhu Ling Ling, he has stuck to her like glue. While there were initial misunderstanding, he starts to develop feelings for her. Zhang Jian- Played by Zhang Jun Ning 张峻宁 The only heir chef apparent to Hang Zhou Noodle House and Corporation. Son of Zhang Lin the Chairman and Wu Ren Mei the vice chairwoman. He is said to be a talented cook but doesn’t seem to have the passion that Jiang Xiu Can has to cooking. He feels constantly pushed towards doing what Wu Ren Mei wants when all he wants to do is forge his own road. In many ways he is exactly the opposite of Jiang Xiu Can – he is silent and cold, if he doesn’t want to do something, he will not do it. He also wants the approval of Grandpa Zhang. Zhang Lin decides to work at the Noodle House from the bottom up as well. Zhang Lin was originally from Korea and he has a birth secret that only he and Wu Ren Mei knows. Zhang Lin secretly like Zhu Ling Ling. Zhu Ling Ling – Played by Li Fei Er 李菲儿 The manager at the Hang Zhou Noodle House. She is a hard worker but she is also short tempered and often beats up Jiang Xiu Can. She’s like a real granddaughter to Grandpa Zhang and he often relies on her for many things. Zhu Ling Ling at first likes Zhang Lin very very much, but slowly begins to develop feels for Jiang Xiu Can. Wu Ren Mei – Vice Chairwoman of Hangzhou Noodle House and the wife of Zhang Lin the chairman. She’s not his first wife and had, through various means got him to marry her. While she is rich, she wants her son to secure the heir position. She is very controlling, cold, and conniving. Years ago, she and her friend (the mother of Jiang Xiu Can ) had given birth to two boys – one of who was brought to China and the other to live in an orphanage. She is the perpatrator of the Birth Secret. Zhang Lin – The Chairman, husband to Wu Ren Mei. Former Fencing Champion. There’s really not much to say about him. Grandpa Zhang – Master Noodle Maker. He has found Jiang Xiu Can to be very interesting and decides to invite him to cook at the Noodle House. 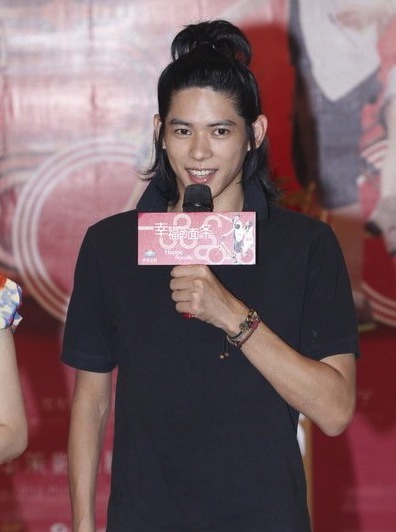 He’s very exact towards noodles and develops a warm relationship with Jiang Xiu Can. 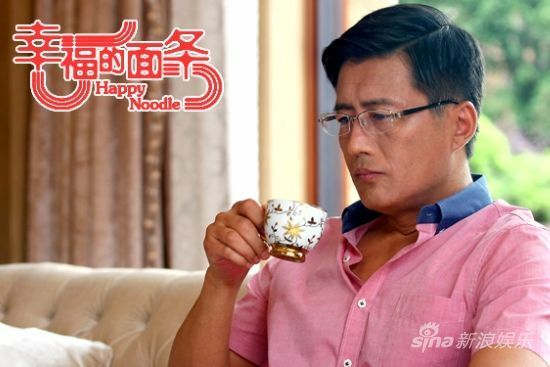 In reality, Grandpa Zhang has always felt Zhang Lin’s apathy towards noodle making and he can see Jiang Xiu Can’s passion. Teng Yuan Hao – A japanese boy who came to learn how to make noodles. While he was suppose to compete at the competition, Jiang Xiu Can had taken his badge. He’s quick to anger, but is very resourceful. I hate his hair to the point that I have nothing to say about him right now. Because I want to take a Katana to his top-knot disaster. I know what you mean! My last sad drama literally made me depressed, it was BBJX, I can’t even listen to the sound track anymore. If you want something funny you should watch Stephen Chow directed movie with Shu Qi, its only been out for a couple of months.